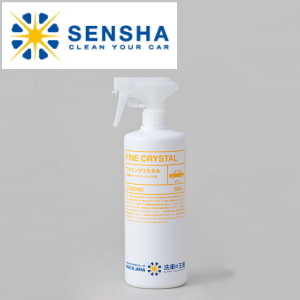 Fine Crystal contains professional used Glass Coating Agent as the principal component, and enables anyone to execute and form the glass coating layer on a car body by simply spraying Fine Crystal after car wash. Fine Crystal has been specifically developed to form the glass coating layer which produces the finest glossy finish like your car is wet without coating unevenness and apply easily as car wash. Car owners who have tried polymeric agents or car wax however did not obtain satisfactory results, Fine Crystal certainly brings the realization of differences. Usually polymeric agents and car wax for both commercial and business use contain petroleum solvent and this is easily oxidized, which cannot be avoided. After the oxidization, the surface will be, like front glass, oil films. Therefore, a condition of a car is getting worse quickly due to collecting dusts, scales and a lack of gloss on the car body. 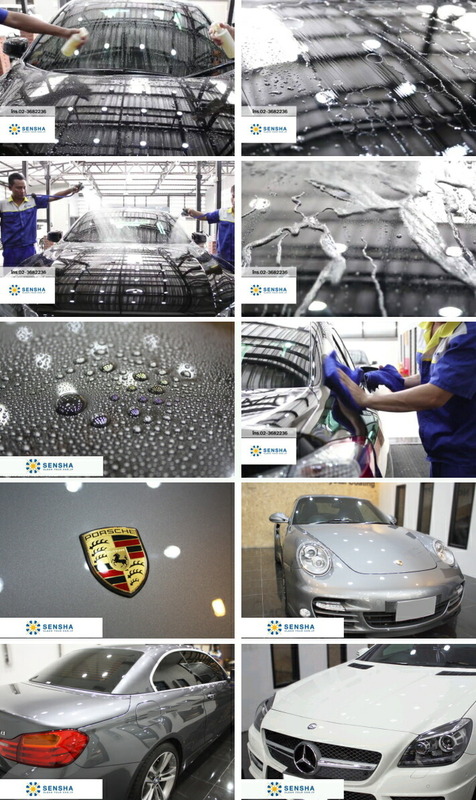 Also, those oil-based products are just on car surfaces so that it is easily removed by rains and car wash.
Fine Crystal is glass-based coating agent and its glass coating layer is never oxidized and deteriorated, also the adhesion of glass coating is exceedingly high, hence the glass coating layer cannot be removed by just rains and car wash. The glass coating lasts approximately 1 month so that the product is applied periodically or after each car wash to always have the deep glossy finishing, protection and water repellent effect on your car. Fine Crystal is specifically formulated to be able to form the glass coating layer with the easy application because we would like everyone to use Fine Crystal every time they wash their cars. Time spent for car washing is enjoyable for everyone and we want to make this time more enjoyable and satisfactory. Fine Crystal does not needs lots of time to apply and there are no professional techniques required hence everyone can produce the same finishing and qualities. One bottle can do up to 10 times of glass coating on your car. We only sell our products on the directly-managed online store, you always get products directly from us. The manufacturer-direct sales provides the best cost performance and quality management.